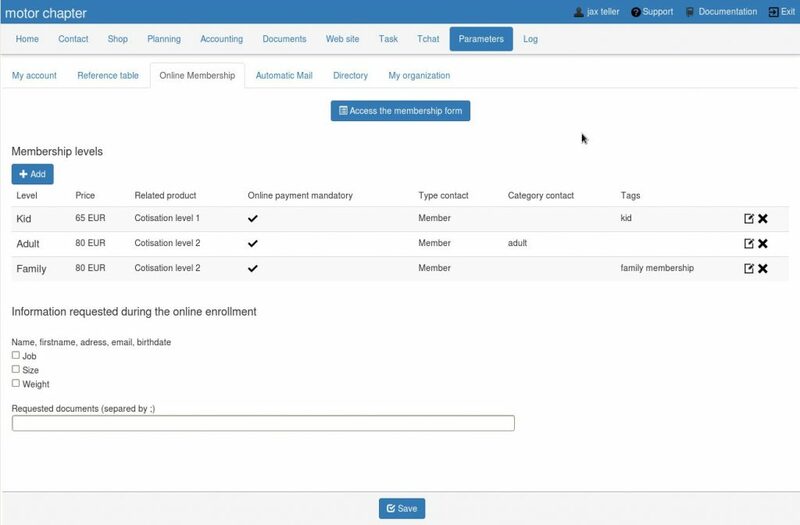 This module allows the user to apply for online membership in your association. He will be able to independently create their file from your website which will then be stored in your backoffice , with the status “pending” . The manager of the association will be notified of the request by email . He will then approve (or disaprove) the application for membership and contact the person for additional formalities . 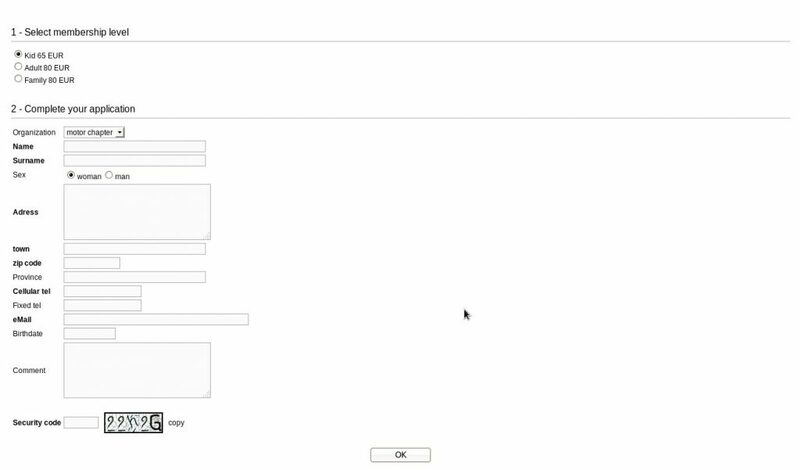 You can set the fields needed to apply in the backoffice “setup/membership online” menu. The default form is composed by basic fields : Name, address, email and date of birth. You can add other free fields like “occupation” or “desired activity” . You can also recover downloaded documents, the medical certificate for example. For this, use the “setup / membership online” menu. If you want the user pays online after his registration, you must define levels in the “setting / membership online” menu. The information necessary for the creation of the applicant’s file : type, category , tag . In setting levels of membership, you can allow the subsequent payment , online payment phase will be ignored but the product (selected level) will be added to the cart of the applicant.